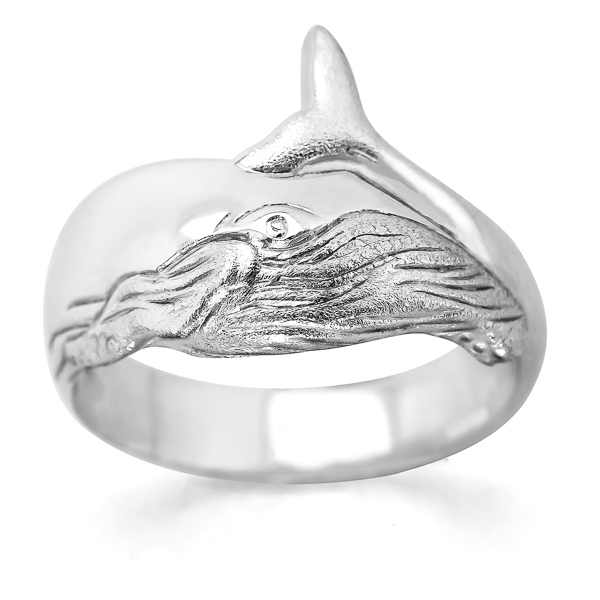 This whale ring has been hand carved with a humpback whale that wraps elegantly around the finger. 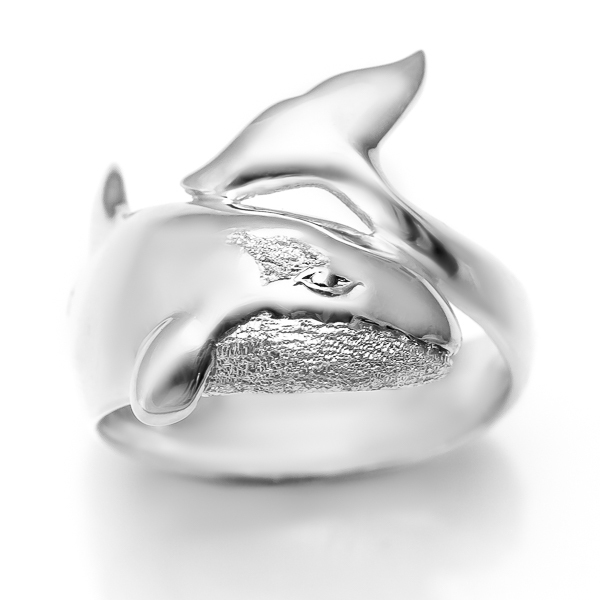 Intricate details such as the eye and textured ventral grooves make this ring truly stunning. Available in sterling silver or 9 carat yellow gold (white gold and other metals also available on request). Silver ring comes in our signature World Treasure gift pouch and gold ring comes with a World Treasure gift box and bag. Free shipping worldwide on all orders. I love this ring, solid, sturdy yet elegant, with a great life likeness to it. Beautifully crafted and really nice to wear.